PDF sewing pattern to make a bag with three strap variations. 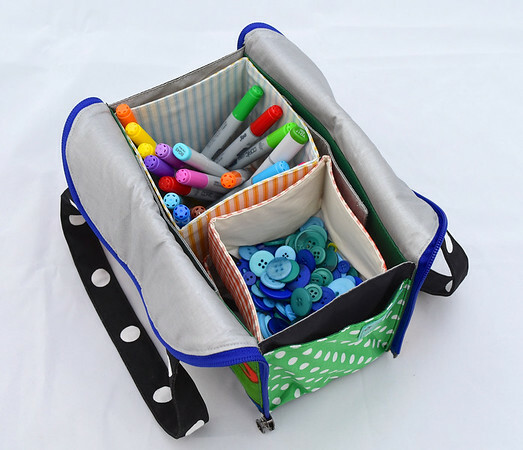 The Tote has movable dividers that double as additional pockets. 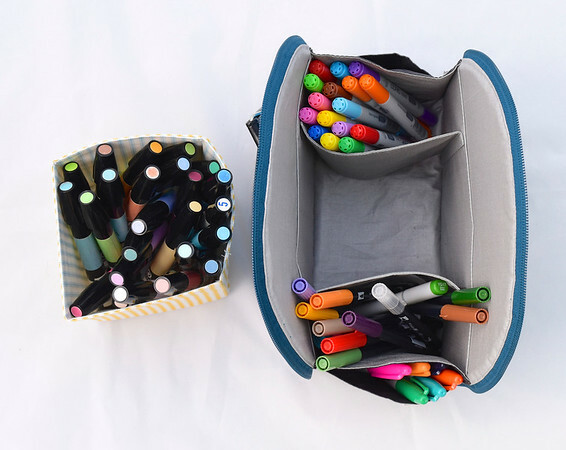 Collapsible removable inserts (free tutorial at www.ikatbag.com) add further organizing options. 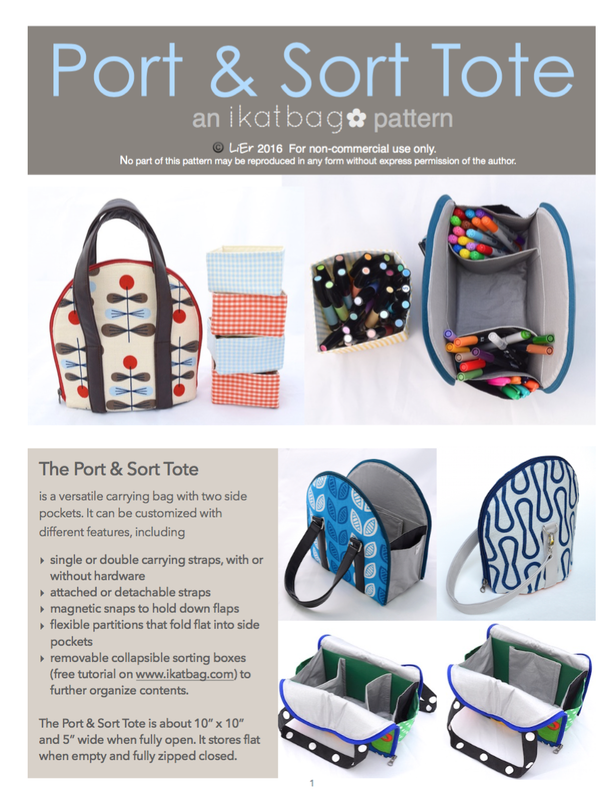 This is a pdf sewing pattern to make the Port & Sort Tote. * The pattern contains 52 pages, including a cover page, one template page, an introductory section and 41 pages of instructions illustrated with full-color photographs and diagrams. No enlargement or reduction is necessary for the template. This is an intermediate-level project that is made with a sewing machine. Users are required to be familiar with using a sewing machine, be able to sew straight and curved seams, and to edge-stitch and work with multiple layers of fabric. Some experience in installing a zipper is helpful but not necessary - instructions are provided for installing the separating zipper which is used in this project. The Tote is 10" x 10" and 5" wide when fully unzipped. Three strap variations are included in this pattern.